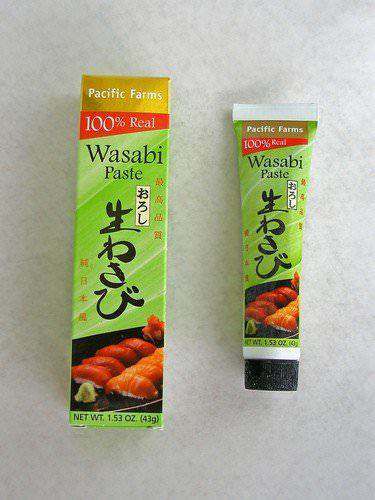 Have you ever tried ‘real’ Wasabi? 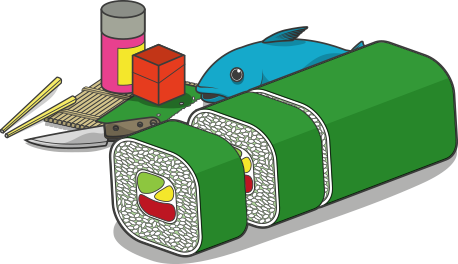 You may think you’ve been eating Wasabi since your love affair with sushi began, but chances are, you’ve actually been served a horseradish and mustard substitute, colored with a little food dye. Such is the demand for real Wasabi in both Japan, and the United States, that prices are generally extortionate – prompting many sushi chefs to create their own (often hotter) alternatives from similarly spicy ingredients. So, what does ‘real’ Wasabi taste like? Cleaner, and far less pungent than horseradish, Pacific Farms Fresh, Real Wasabi is best described as a herbal, spicy flavor with lingering, earthy undertones. And unlike common substitutes, it doesn’t overpower the palate with that stinging, burning after-taste that can so often ruin a great sushi dining experience. Sustainably farmed in North America using traditional techniques, Pacific Farms Wasabi is both organic, and fresh – so, like ground Wasabi, should be served within fifteen minutes of opening to avoid loss of flavor! Wasabi is an incredibly versatile ingredient. It’s most documented use is as a condiment, and topping for sushi. However, Wasabi paste is also popularly used in Japan as a marinade, soup base, and sauce. Anciently revered for its anti-inflammatory properties, Wasabi is also believed to help ease allergy symptoms, prevent cancer, and reduce blood pressure. True or not, this fiery paste is both long-lasting and great for easing common cold symptoms, so should be a cupboard staple! Delicious, fiery paste can be used for sushi, marinating meat and so much more!